In Marketing Modernity, Adam Arvidsson traces the development of Italy's postmodern consumer culture from the 1920s to the present day. 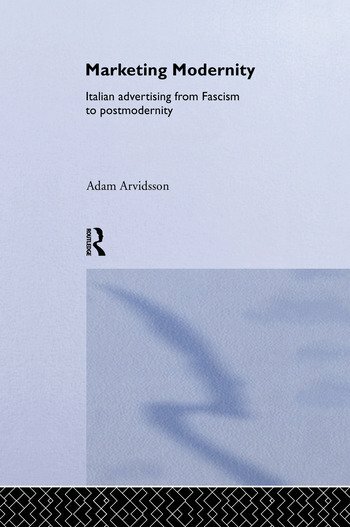 In so doing, Arvidsson argues that the culture of consumption we see in Italy today has its direct roots in the social vision articulated by the advertising industry in the years following the First World War. He then goes on to discuss how that vision was further elaborated by advertising's interaction with subsequent big discourses in Twentieth Century Italy: fascism, post-war mass political parties and the counter-culture of the 1960s and 1970s. Based on a wide range of primary sources, this fascinating book takes an innovative historical approach to the study of consumption.